This is one of my favorite paper types to make cranes with. Who could say no to origami cranes made with origami animals printed on it?! 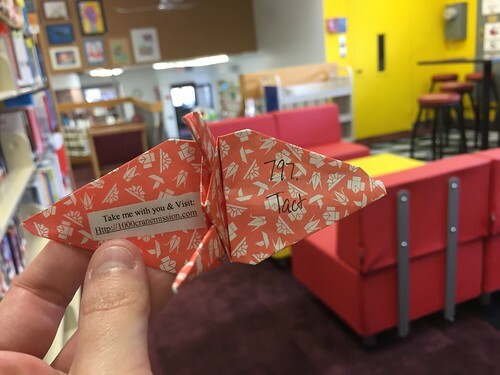 Sometimes you have to take joy in the little things such as leaving a favorite paper folded crane in a library, which we all know is one of my favorite places. 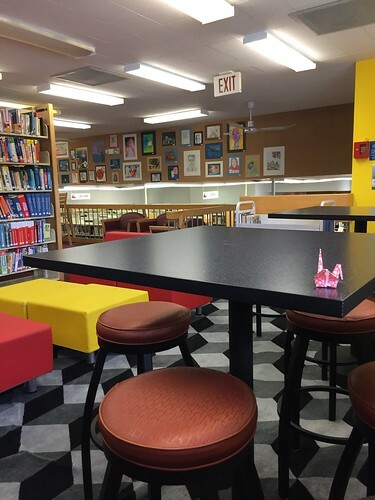 Such a fun library with its split level construction and fun color patterned upper level for kids. Definitely killing it in the library game, that's for sure!